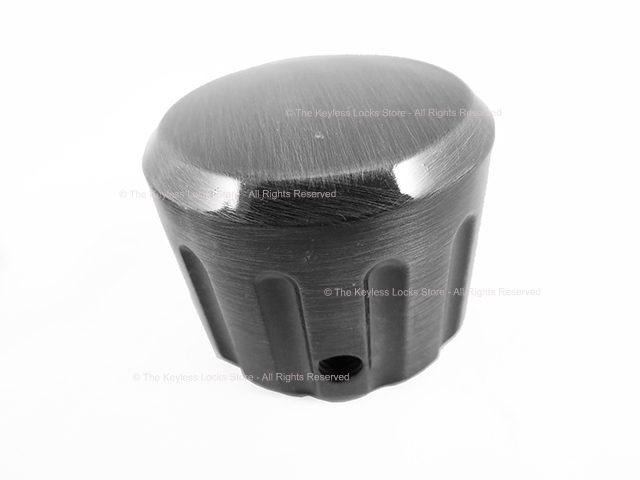 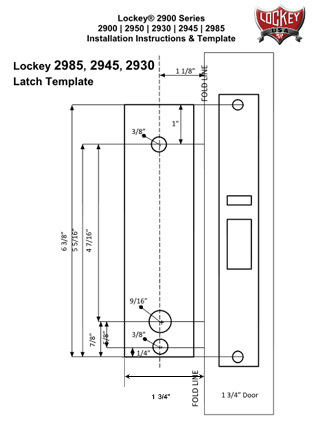 The Lockey 2950 Narrow-Stile Hookbolt Keypad Lock is designed to to replace an Adams Rite lock. 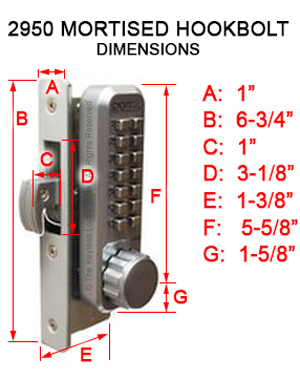 It has a 1-1/8" back set so it will fit most narrow stile glass and aluminum storefront doors. 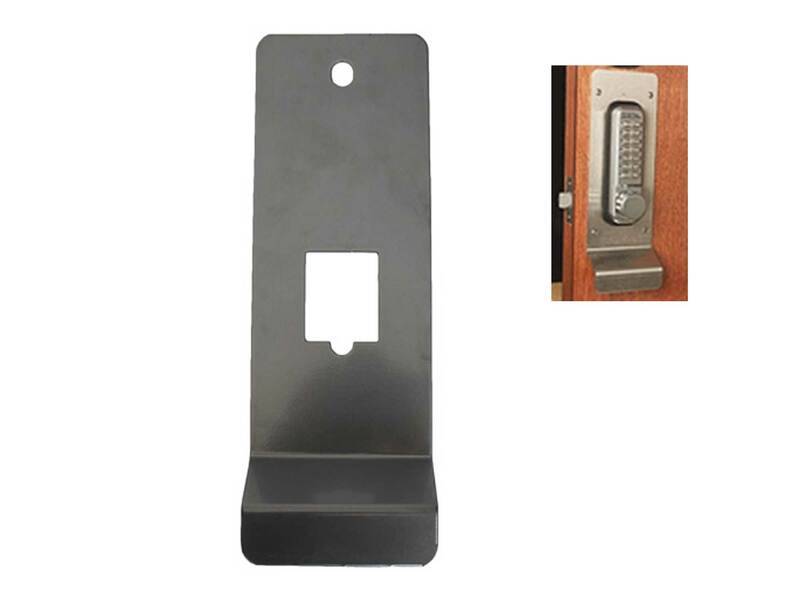 It will also work well as a lock for a sliding door or gate because its hook will catch and hold fast to the post or matching gate. 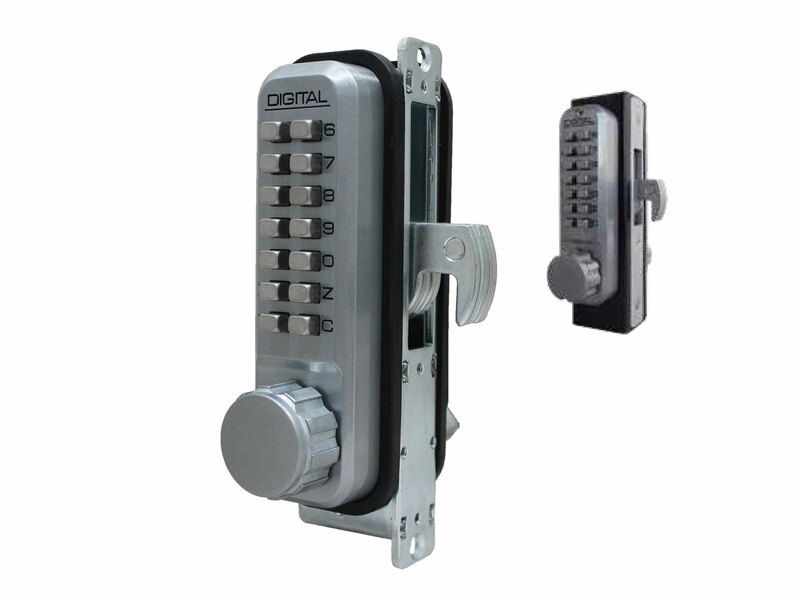 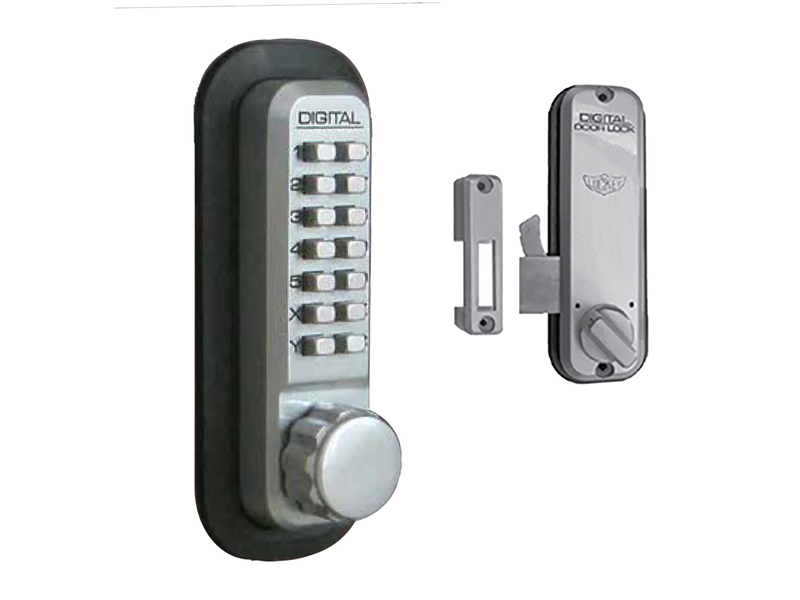 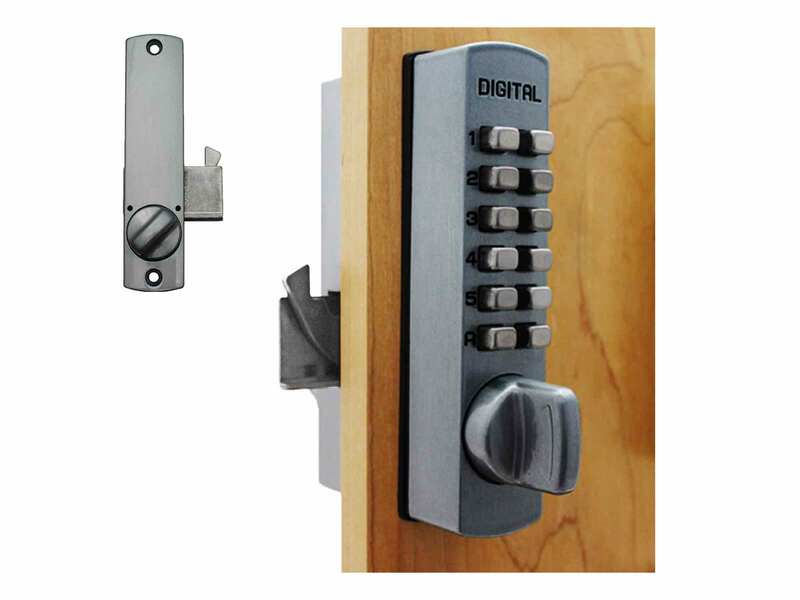 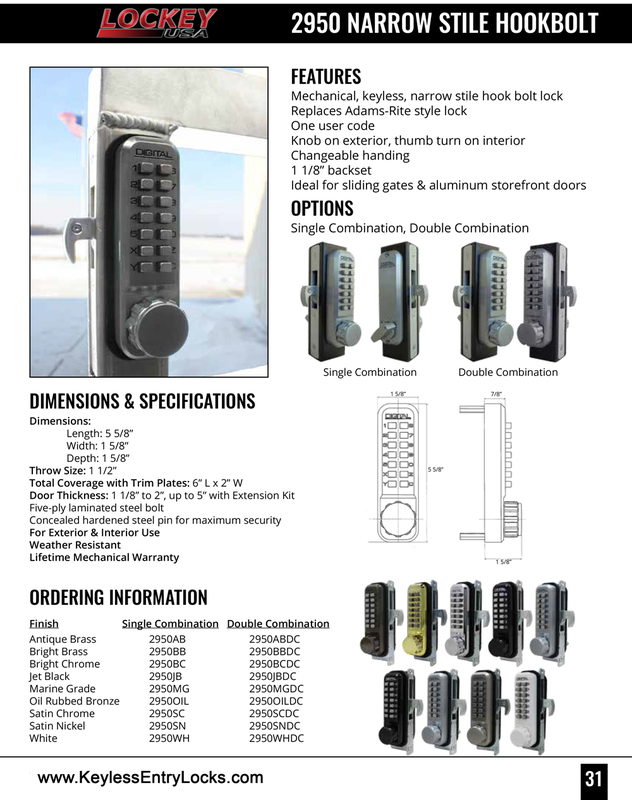 Deadbolt lock (does not lock or latch automatically).